Since 1985 owner – ASE certified technician, Bob Steinmann has specialized in auto A/C repair. His work experience includes both new car dealerships & independent service facilities including 25 years as Century Auto Air Conditioning . As markets and opportunities change, so has the focus of Century. We are now Century Tubes N Hoses/ Auto Air Supply. We specialize in the fabrication-manufacture and rebuilding of hoses and fluid lines for automotive and industrial applications. We still retain a strong presence in auto a/c . We stock service supplies and repair parts. Classic /specialty auto a/c upgrade and installation parts that can be hard to find locally are in stock here. Our on vehicle services are limited to classic/custom and specialty vehicles. We can diagnose leaks as well as performance issues. Custom a/c plumbing, system upgrades and evacuation and recharges. *Todd Puglisi our 20 year technician has opened his own business servicing regular/late model vehicles next door at 889 W. Grant Road as Auto Comfort Specialist 520-203-8298. 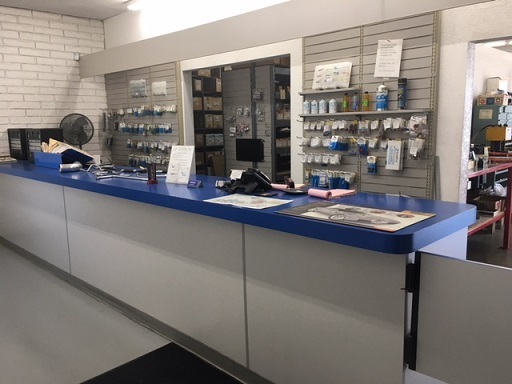 Our well stocked parts department insures repairs can be made quickly at a reasonable cost. This site created by A1AWEB.